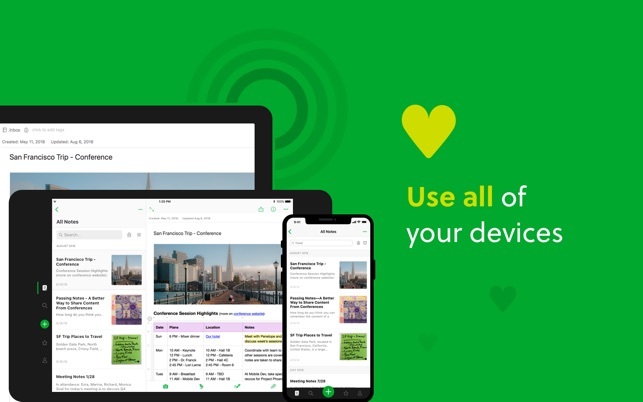 I used to love Evernote. I don’t use it for business per se, but I need to find info when I need it! Not 5 minutes after I started searching for it in the app. 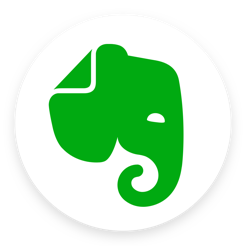 I had EVERYTHING, EVERY THING in Evernote but couldn’t find things because it would NOT show info within notes that I was searching for. Also, I had some notes that I had unknowingly put the title in quotes! That was a big mistake. Even when I KNEW it was in Evernote, I could not access it. Very frustrating. 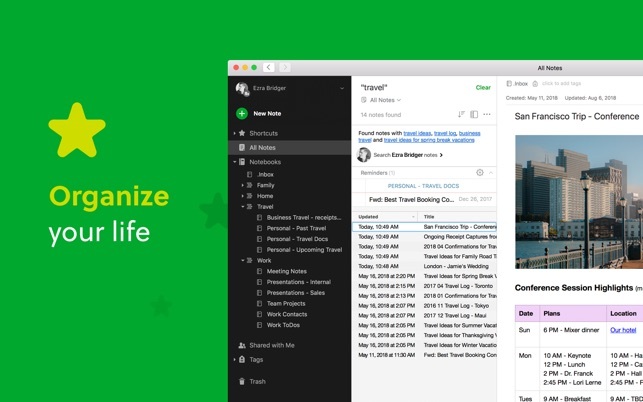 I finally ended up parting ways with Evernote. Now comes the bad news. I had over a thousand notes! There is NO WAY to export your contents!!!! I had to literally copy EACH NOTE and place in Apple Notes. What a huge pain. Then I went on a long and fruitless search for a note program that would do everything evernote was doing. Well, I’m back again. There were several deal breakers for other programs. 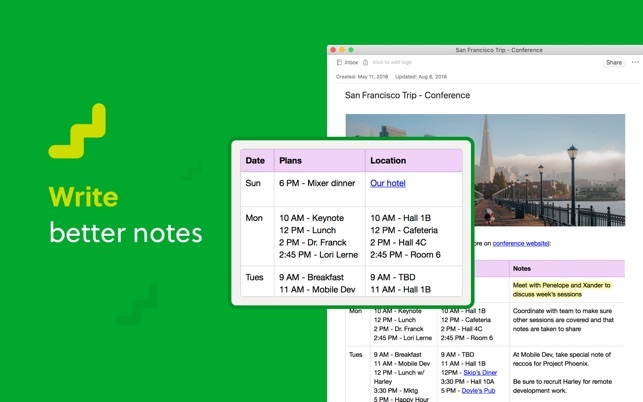 Even though evernote is not perfect it still seems to be the best option that I could find. I am very careful to specifically title notes with key words. You cannot get Evernote to download everything. I can try to download an article and most times I get only a link. This puts me in the same predicament I was in initally! I cannot access the ‘cloud’ at all times and I work in a hospital!!! Lots of lead shielding and the like. I have to go in paragraph by paragraph and copy/paste into evernote to have access to it when the cloud is absent. I hate the ‘cloud’. 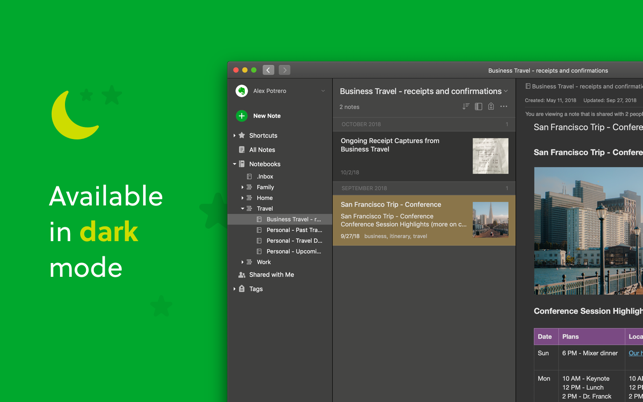 I’ve been using Evernote for at least 7 years, but it has mostly ended up as a side show to to my workflow, despite many attempts to make it a central repository for my work. 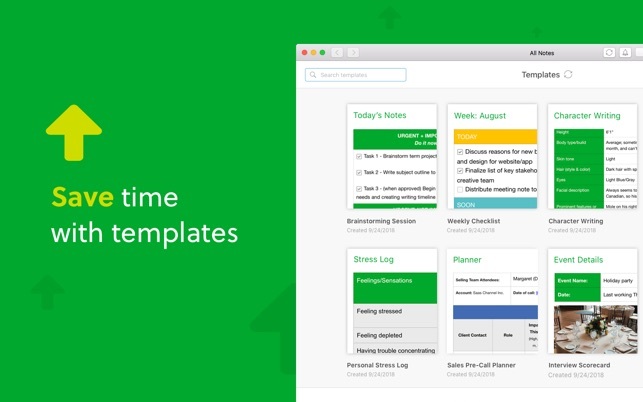 When I started consulting, I looked at it as an opportunity to use Evernote more fully in my workflow, tracking clients, calls, meetings, etc. I set up tags and notebooks but it never seemed to quite work. Is each client a tag or a notebook? Without a calendar function, how can I track progress against a timeline? Reminders pop up once, but there’s not a snooze function, nor is there a place to see when your reminders are scheduled in a calendar. 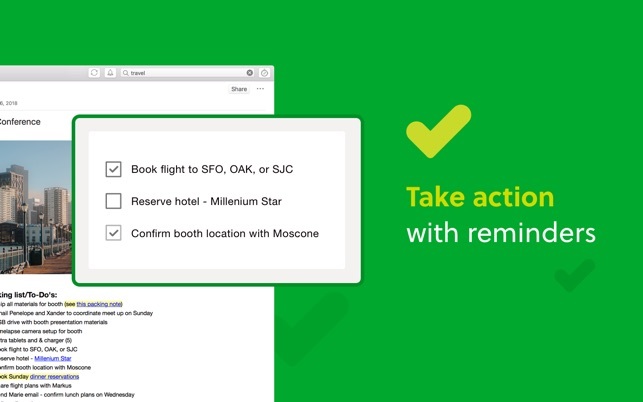 I tried plug-ins or IFTTT to make Evernote work with Google calendars to no avail. Then, documents for clients have to be in Word or Excel or PDF, so why should I do them in Evernote? And if I did want to share drafts of things in Evernote, the sharing a note experience is awful if the client is not in Evernote too. And I can’t do calculations in Evernote, so my billing and invoicing has to be done elsewhere too. Finally, they released this update and I thought, "OK, well at least the design will improve, and the desktop will look more like the web version (which is clean and much more visually appealing, like the iPhone app)". But...nope. As far as I can tell, all that changed is the icon. So, for me, I think I’ll go back to using it as a repository of things I find on the internet. I’ve been using Evernote since 2013, primarily for organization in a public works environment. Its nice to have access to my data on my various devices and platforms - in general, my offices are PC environments while I use a MAC. 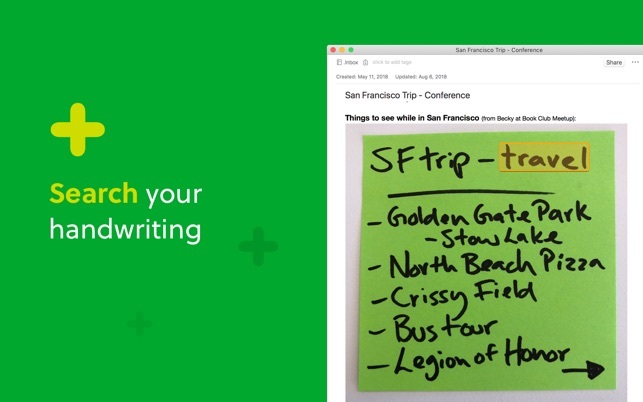 Evernote syncs between all easily. 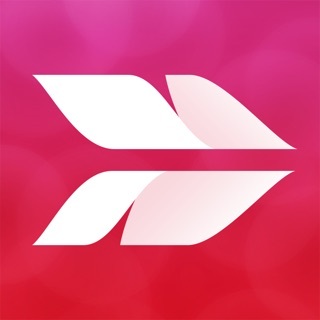 For the past 2 years I have used the product for construction inspection services using my iPhone or iPad. I can record weather, crew members, and then dictate the daily progress throughout the day. Adding pertineint files (email, texts, plans, etc) in chronological order is also helpful. I can also use captioned photos to document progress for the day. My only problem so far is sharing the data with non users. Moving to a paperless environment is great and I endorse this concept, but some offices/agencies require that "piece of paper”. Printing a file with photos cuts the photo at the end of a page and resumes printing the photo on the next page. I wish this be addressed. But overall, Evernote is very convenient for documenting these activities and for organizing my business and personal life. We all carry a phone and Evernote is on my phone.